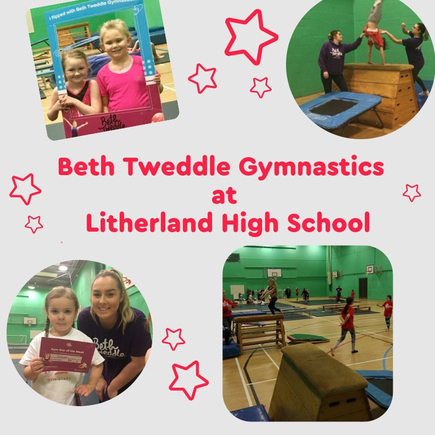 Beth Tweddle Gymnastics opens in Litherland High School | Beth Tweddle Gymnastics (formerly Total Gymnastics) Cookies Policy. Beth Tweddle Gymnastics is on a mission to inspire children to get involved in gymnastics and to see the real benefits that the sport has to offer. We were delighted to launch a brand new veune at Litherland High School, expanding our programme and creating more opportunities for local children. Litherland High School offers us a huge amount of space for the gymnasts to learn, flip, tumble and roll! Not only does gymnastics improve health, fitness and general wellbeing, it improves confidence and self-esteem too. Sport is about shaping children’s lives in a way that has a positive knock-on effect to everything else they apply themselves to. Children often start out shy and apprehensive of their ability when they begin gymnastics, and in no time at all, they are breaking down the barriers of their own self-belief and are flourishing. This means that when they start school, or move onto high school, their confidence is on a high and they’ve already realised that by setting their mind on something and working hard for it, it brings achievements that are fulfilling and have a great impact on their character. We will be introducing even more new classes at Litherland High School for girls and boys aged 2+ in the next few months.